British bike manufacturer Triumph Motorcycles today added two new motorcycles to its adventure portfolio with the launch of Tiger XRx and the Tiger XRc. With these launches, the Triumph portfolio now boasts of 13 motorcycles spread across 5 motorcycling categories. 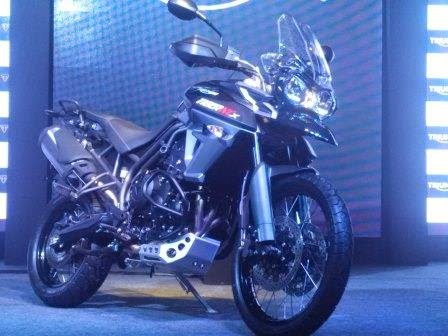 Both the Tigers come with a liquid-cooled 800cc, in-line 3-cylinder giving out a power output of 95PS and 79Nm of torque @7850rpm. 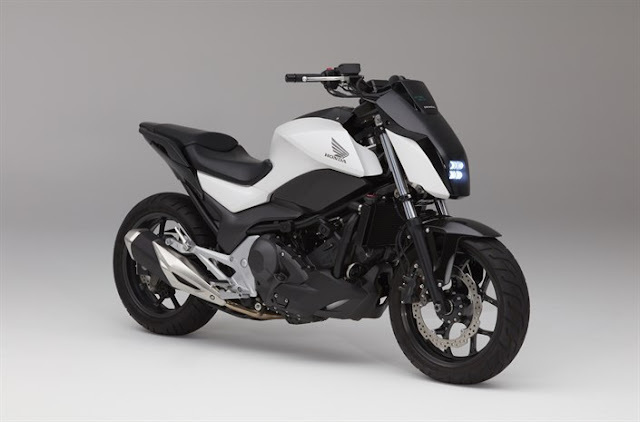 The company claims that these second generation 800cc engines make the Tigers more comfortable and refined motorcycles offering greater fuel efficiency. Doing the transmission duties on both the bikes is a 6-speed gearbox. Although the two Tigers look similar, they offer distinct capabilities. While the Tiger XRx is more focused towards road riding abilities, the Tiger XCx has a more off-road intent. The differentiating factors between the two bikes are the XCx gets spoke wheels, whereas the XRx comes with alloy wheels. The XCx has increased ground clearance, making it more suitable for off-roading. Both the bikes get adjustable seats giving 20mm of adjustability. In addition, the XCx also gets engine protector bar and aluminum sump guard. The Tigers get traction control and switchable ABS on all models as standard. Also, the bikes see an inclusion of cruise control, a first in segment feature, as standard on the Tiger 800 models. The new Tigers come in as Completely Knocked Down (CKD) models. 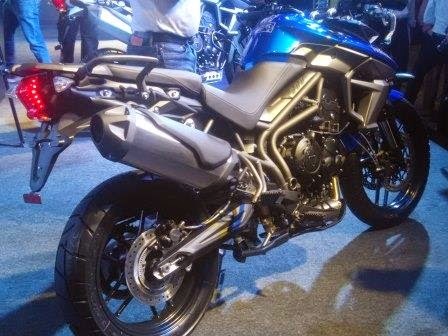 The base model Tiger XR is priced at Rs.10.5 lakhs, while the XRx and XCx are priced at Rs.11.6 lakhs and Rs.12.7 lakhs (Ex-showroom) respectively. The bikes will be available in 3 colours: White, Blue and Brown. Triumph also announced an extensive range of Triumph Genuine Accessories for the new Tiger including the new slim line heated grips and a tri-tour aluminum structured luggage system. On the strategic front, Triumph India announced its plan to expand its dealership network with 2 more dealerships coming up soon.